I tweeted a picture of this beauty last night, and it turned out to be about my most popular tweet ever, so I thought I should post it here as well, so it lasts! 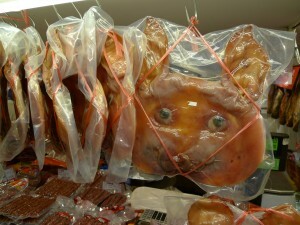 I took the picture in a food shop on Nanjing Lu, near the People’s Park. By the way, the eyes are real. Well, I’ll be having nightmares for a few weeks…. I think we saw the same one several years ago. That is truly bizarre! It’s really just the face, I suppose. Or has the whole head been flattened, like the waxed ducks? I don’t know that a Chinese person eats a vast range of foods (including any edible ingredients in foods). Maybe in certain regions, but other regions I don’t know that your comment applies. Hi Fuschia, I am very interested in sichuan pickling like Pao Cai 泡菜, perhaps you can elaborate on why the use of rice wine to pickle things? and what is your favorite pickle side dish? Mminuk – I think it’s just the face – i.e. most of the head, but boned out. @Sam Schaperow: You’re correct. There are lots of foods that many Chinese will not touch, particularly cheese and most other types of dairy produce, lamb, any raw ingredients (including veg), and sometimes beef. Many things that Chinese people do eat may seem strange to non-Chinese, purely because they are unfamiliar. 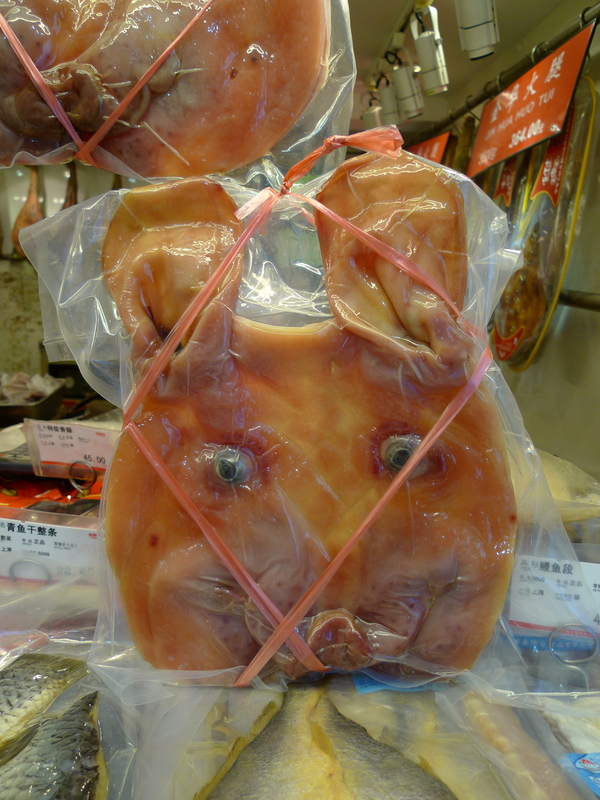 I would not say, though, that the Chinese are more adventurous eaters. 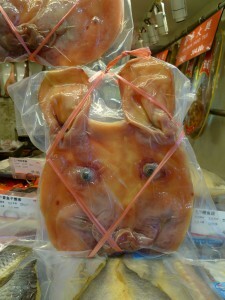 @mminuk: Lamb may not be a very good example of food many chinese stay away from. Lamb skewers are a popular snack all over China, and in most cities You can also have Shuan Yang Rou.